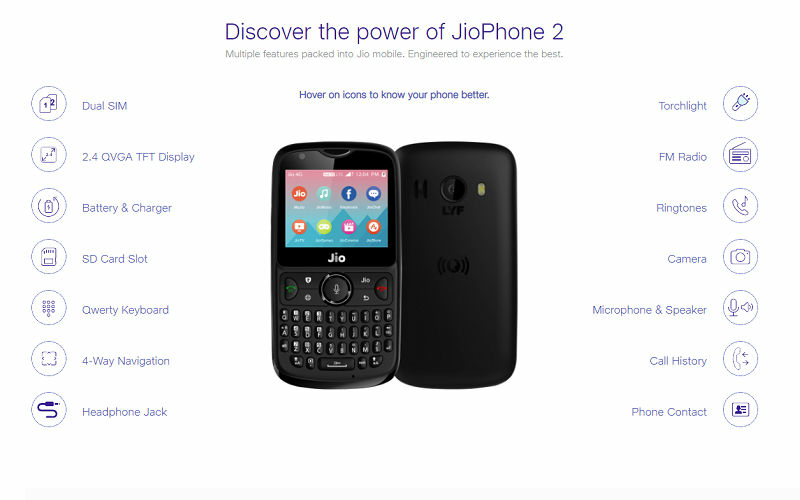 The JioPhone 2 will once again be available to purchase during a Flash Sale on Reliance Jio's official website Jio.com. Here are the details. The JioPhone 2 will go on sale today on Reliance Jio Store Jio.com. The feature phone featuring a full QWERTY keypad and access to several popular online platforms, including Facebook, WhatsApp, YouTube and more, has proven to be the best selling handset in its price segment. Moreover, with access to these services, the second generation of the Jio Phone is no less than a smartphone for the masses. The feature-rich JioPhone 2 will sell with a few attractive offers, including flat Rs. 300 cash-back from PayTM. The 4G feature phone from Indian 4G operator Reliance Jio succeeds the first generation Jio Phone. However, the fastest growing Indian telecom company sells both the devices. Recent reports have indicated that Jio is now one of the leading telecom companies. 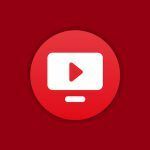 Reliance Jio recently bested Live TV streaming services by offering more than 600 TV channels. Moreover, the company is planning to take on mobile-payment business, currently dominated by platforms like PhonePe, Tez, etc. The JioPhone 2 will be available to purchase today on November 29 at 12PM on the official Reliance Jio website Jio.com. 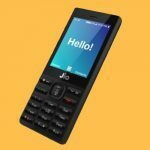 Jio has opted for the Flash Sale model for the JioPhone 2, and needless to mention, the company has received massive orders from Indian telecom subscribers. Reliance Jio launched the JioPhone2 at INR 2,999. The handset will sell at its retail price during the Flash Sale. Moreover, buyers will have to pay Rs. 99 as delivery charges. 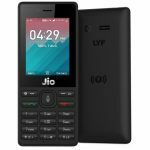 This takes the effective price of the JioPhone 2 to Rs. 3,098. 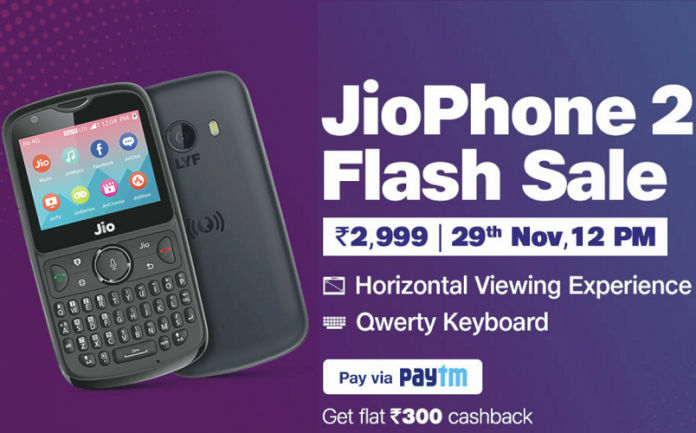 PayTM, a popular and leading Indian payment facilitator, is offering INR 300 as cash-back to customers who successfully buy the JioPhone 2 during the Flash Sale. Reliance Jio is permitting COD option as well. This allows buyers to pay for their device after it reaches their doorstep. Based on the previous Flash Sales, buyers will have to quick to hit the buy button. The previous sales have exhausted the available stocks in a matter of seconds. The JioPhone 2 only appears to be a feature phone with a small 2.4-inch QVGA display with a landscape mode. However, it is no less than any entry-level smartphone when it comes to the services and features it offers. Moreover, along with the Jio Phone, buyers get exciting Jio recharge offers, starting from INR 49. 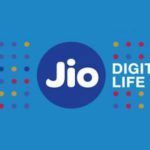 Buyers can also enjoy access to premium apps from Jio like JioTv, Jio Music, and several more through the Jio Prime program. 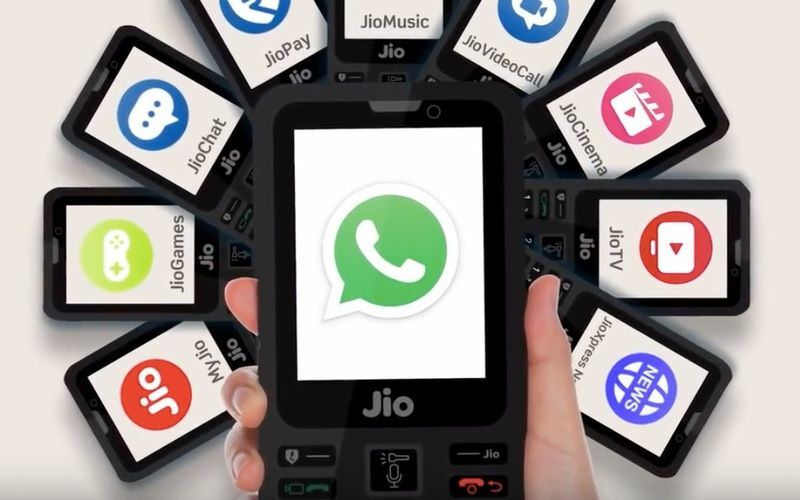 JioPhone has gained the ability to support YouTube, Facebook and Google Maps. There’s also support for Google’s virtual assistant. This makes the Jio handset one the most feature-rich devices. The QWERTY keypad and a navigation pad make it easy to access and use the social media platforms and other online services.